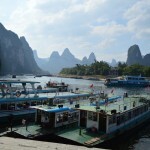 Scroll to the bottom for our traveler’s tips for visiting Guilin and Yangshuo. 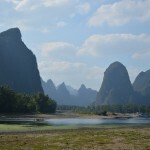 Guilin is one of my favorite places in China. 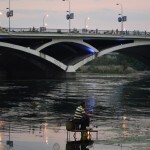 I was last here in 2009 on a trip with some friends from my study abroad program and loved it. It was also the first time I’d ridden a motorcycle in China, then renting a couple of 125cc motorcycles for ¥100/day ($17) to ride around the countryside. 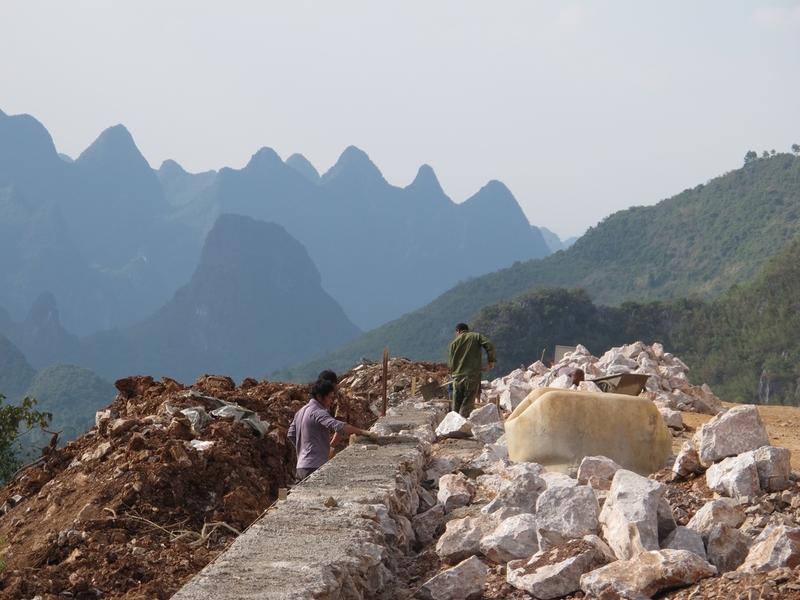 The landscape is entirely different from any other kind of mountainscape I’ve seen anywhere else. 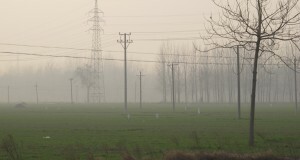 You constantly feel as if you’re riding through a Chinese painting, misty mountains that look like fingertips reaching out from the ground trying to breakthrough a moss and tree covered barrier. Needless to say, I was excited to finally arrive to this area of the country. 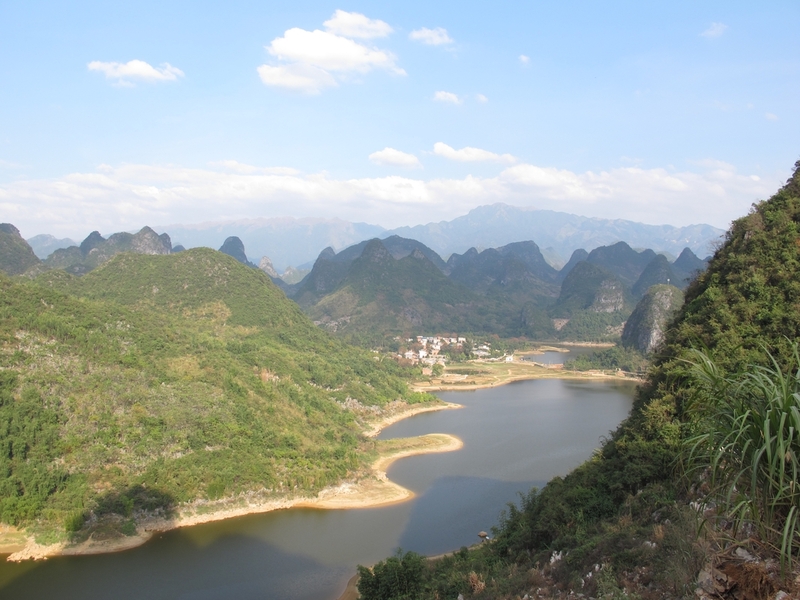 We broke free of the industrial outskirts of Hezhou and after a couple of hours began to see the iconic mountains the area is famous for. 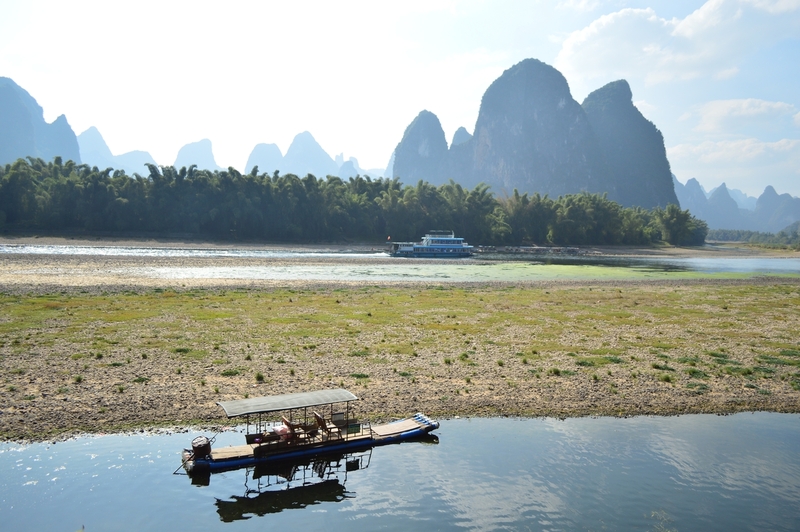 A must visit when near Guilin is the outer county of Yangshuo, the sort of “adventure capital” of Guilin. 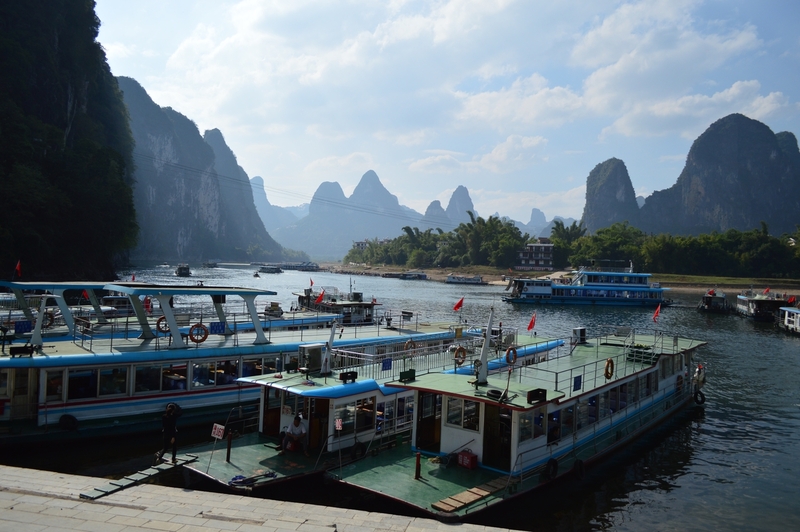 The town is right on the banks of the beautiful Li River (漓江) from where you can take leisurely bamboo boat rides down the river. 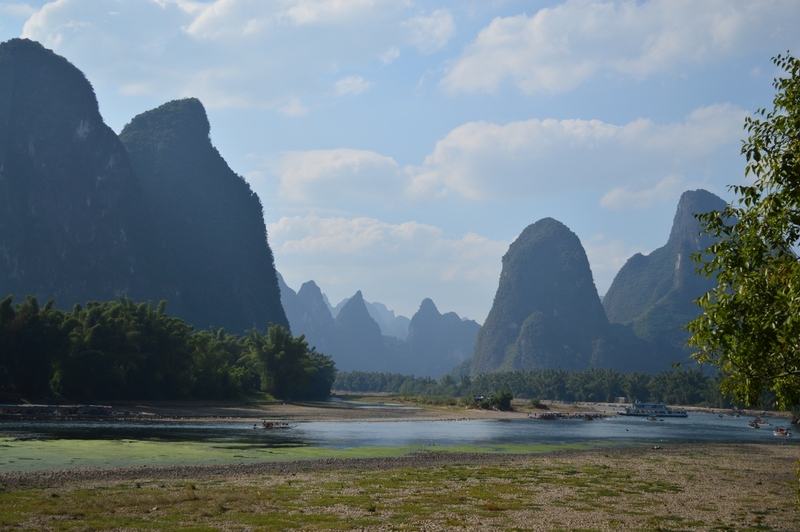 They also have trips to nearby scenic spots such as some mud caves and rice paddies that you can rent bicycles to ride through. 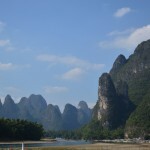 We unfortunately, as always, did not have the time for all that but wanted to ride trough Yangshuo all the same. 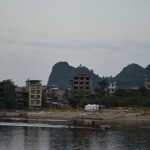 We stopped in the town for a quick bite of lunch and to snap some photos of the river and then started looking for a way towards Guilin. 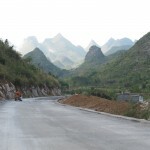 As in most cases there is the expressway, which is the fastest though not always most direct route, or the smaller national, provincial, and county roads. We opted to take the most direct road which cut directly through the countryside to Guilin but also happened to be all on county roads. 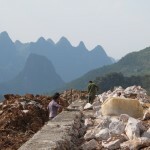 We hit a lot of gravel roads and construction along the 60km to Guilin. The seclusion was worth it though. 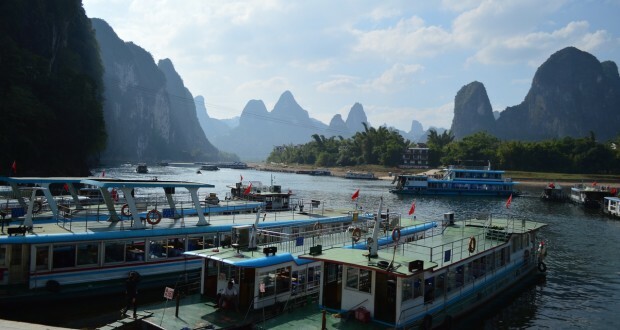 Guilin and Yangshuo have become increasingly popular tourist destinations in recent years and thus have become more and more built up to go along with the resulting crowds. 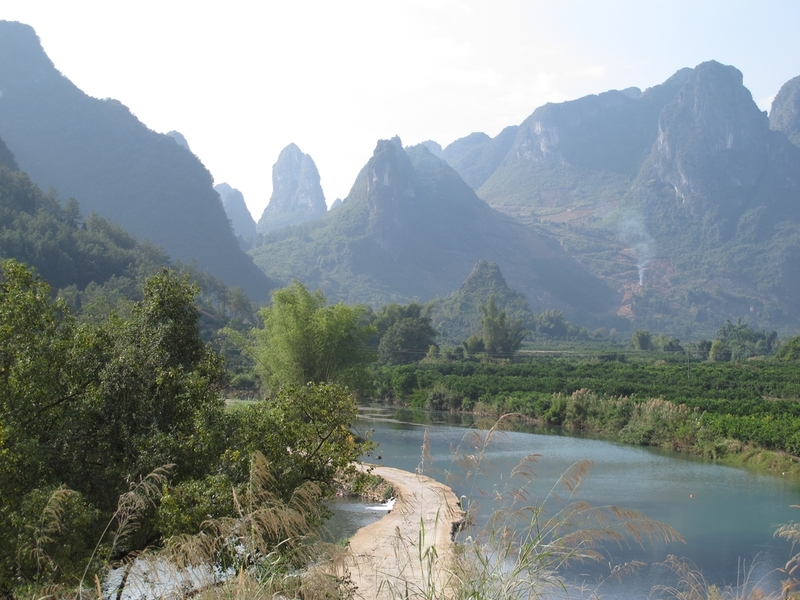 As a result, being able to enjoy the beauty of the countryside, with views of the river and surrounding mountains, in relative seclusion was a particularly rewarding treat. 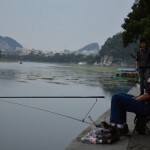 When we got to the city of Guilin, we made our way to the local International Youth Hostel, our preferred choice of lodging when available given their affordability, consistent quality, nice facilities, and usually serving good food. 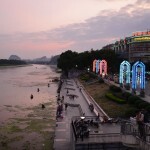 The Guilin hostel was located right next to the river and so offered a good opportunity for a nice evening walk. The next day was raining. 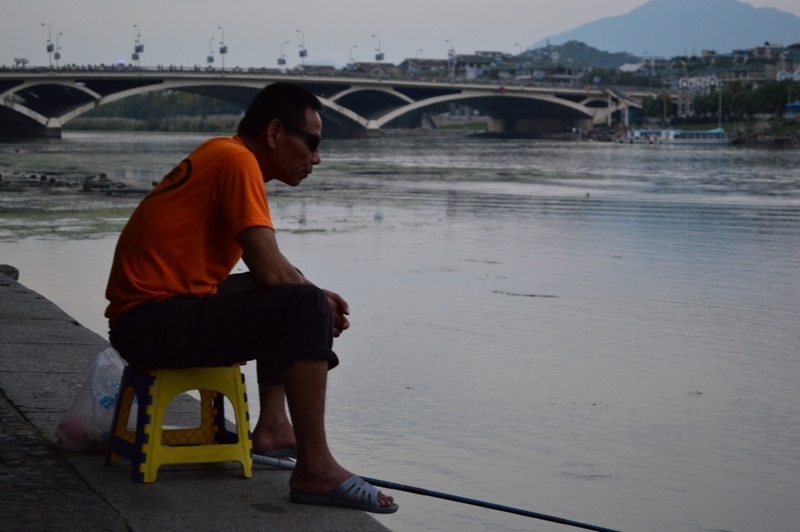 By now you might have heard of the typhoon that devastated the Philippines recently. The storm had luckily lost most of its destructive energies but it was still covering all of southern and most of central China in rain. From the looks of the satellite tracking, the rain would be with us for much of the next few days. 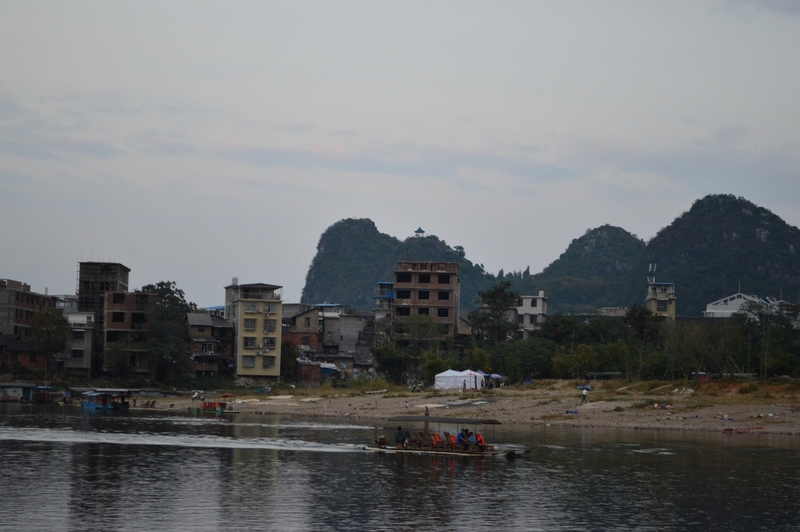 Before leaving Guilin, we went to see one of the nearby sights. 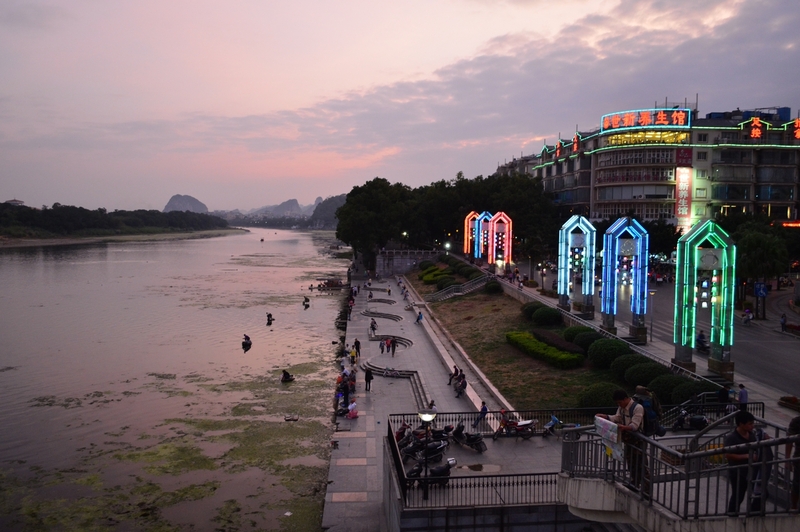 Diecai Hill is one of the smaller local sights in Guilin, which makes it both more affordable and less crowded than the other more extravagant sights around the city. Our cab driver in fact insisted that it was too boring and recommended several other places that would be better (and not coincidentally farther) but we persisted and eventually he dropped us off at the ticket booth. 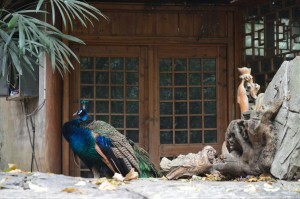 The park made for a nice climb and there is a bird sanctuary that was a fun visit. 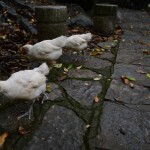 What the 100 bird sanctuary lacked in variety it made up for in the personality of the dozens of little chicken chicks that followed us around the whole netted off area. Unfortunately the rain would not relent, and only picked up so we had to call it a day for sightseeing and headed back to the hostel to pack up before we got sick (or sicker in Amy’s case as she was coming down with a slight cold already). The rain never let up but our rain gear more or less did their job through the afternoon of riding north. 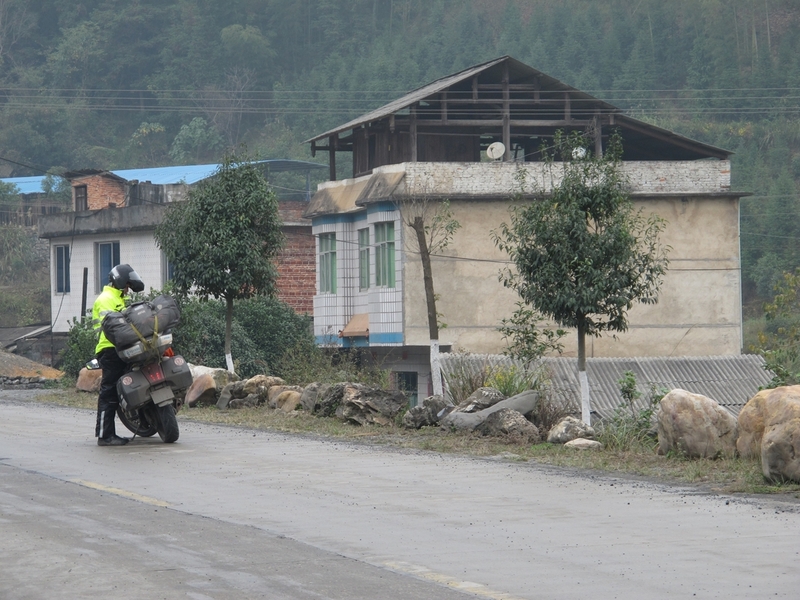 We entered Hunan province about halfway through the day and enjoyed some nice curvy roads on the mountain sides. The temperature was dropping rapidly though. Where yesterday it was too hot to even wear our jackets in the bright sun, now it was at least 10C degrees (about 15-20F) colder making several extra layers necessary to keep out the cold and water. Craziest thing on the road today- on the windy mountain roads through the mist and rain we must have passed a half a dozen accidents in the span of about an hour. Three of then were within only a few minutes of each other. There must have been a full moon or something as there was just about every kind of accident you could have: collisions, a car in a ditch, overturned vehicle, you name it. During one section, after passing two passenger cars that had run into each other, only a couple minutes afterwards there was an ambulance, no doubt on its way to help with the accident down the road, that had gone into a ditch in the side of the road! It was really something else and even though we were on windy roads in the rain, it was hard to explain the concentration of accidents all together there near the provincial border. Luckily, we felt neither the effects of the bad weather or astronomical phenomena and made to the end of the day without incident. With winter fast approaching and our move back north now, the days are becoming noticeably shorter. Normally this just makes the work day just a bit more depressing, but on the road this also means less time for us to get to our next destination or, more frequently now, a little bit of night riding to finish off each day. 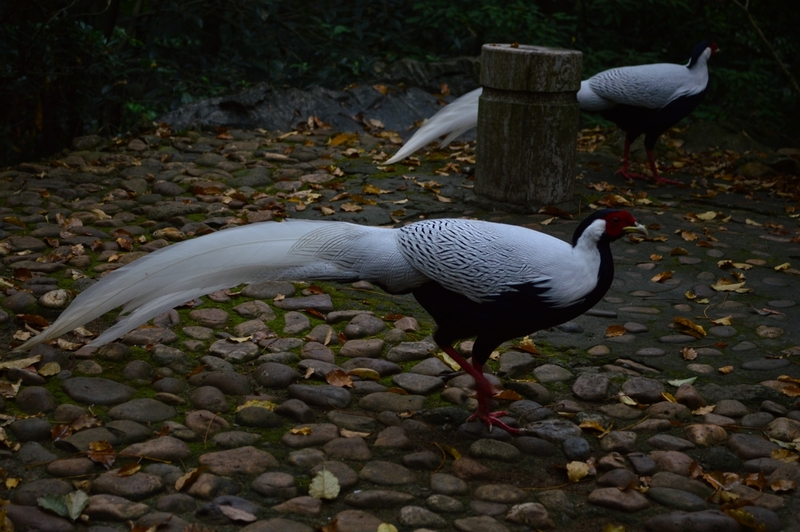 The following day, we continued our northern trajectory towards one of our major destinations, Phoenix Old Town, a famous ancient Chinese town preserved and setup for tourists. It had been a fully functional town up until just earlier this year when in June the government set it up for tourism by charging entrance. This didn’t sit well with locals who had visiting friends and family forced to buy a ticket to visit. 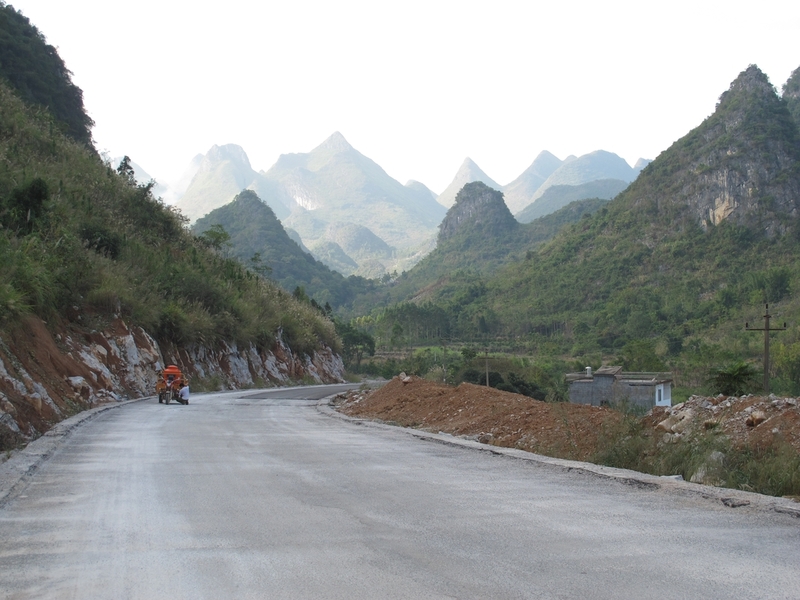 The road to get to the town was uneventful for most of the morning into the evening however the temperature had continued to drop leaving my fingertips completely numb and barely able to even use my phone or operate my jacket zippers. 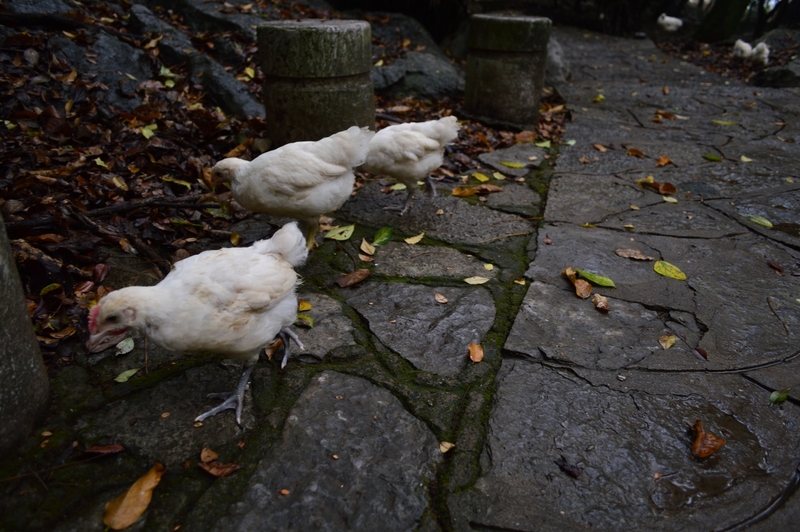 By the afternoon, the nice pavement gave way to mud which meant slow progress and a fish tailing back wheel. It was just getting dark as we pulled into a hotel on the outskirts of the town covered in mud, soaking wet, and freezing cold. Hard to believe the summer weather, palm trees, and beaches were only a few days behind us. You’ll need at least 3-5 days for a visit to see all the best sights. Plan for at least one full day in Guilin, 2-3 in Yangshuo, and then one more to the nearby Longji Terraces. 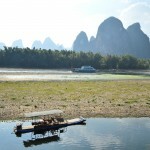 In Yangshuo, take an afternoon for a float down the Li River on a bamboo boat. 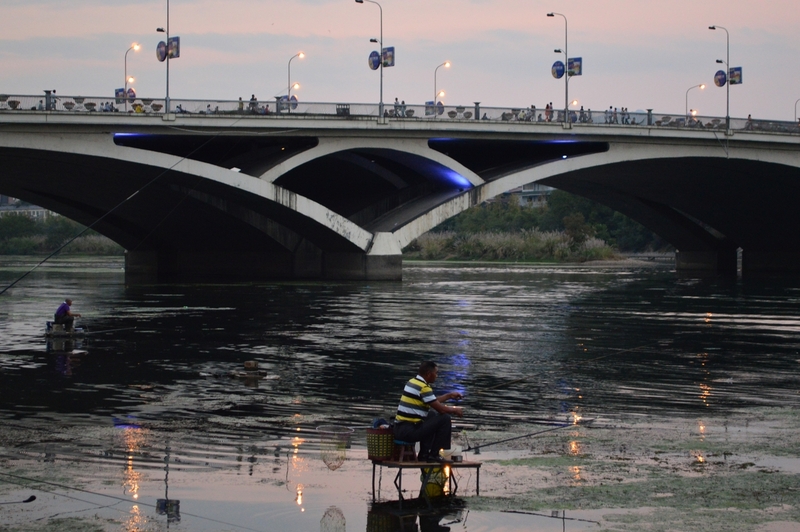 No shortage of locals shouting “bamboo!” at you offering you their services. 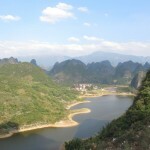 Rent a bicycle in Yangshuo to take around the countryside. 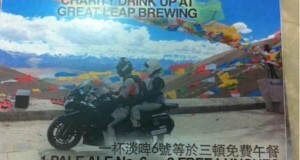 If you can, wander around the alleyways for people renting motorcycles too. They don’t go super fast, but it’s a great way to enjoy the scenery. 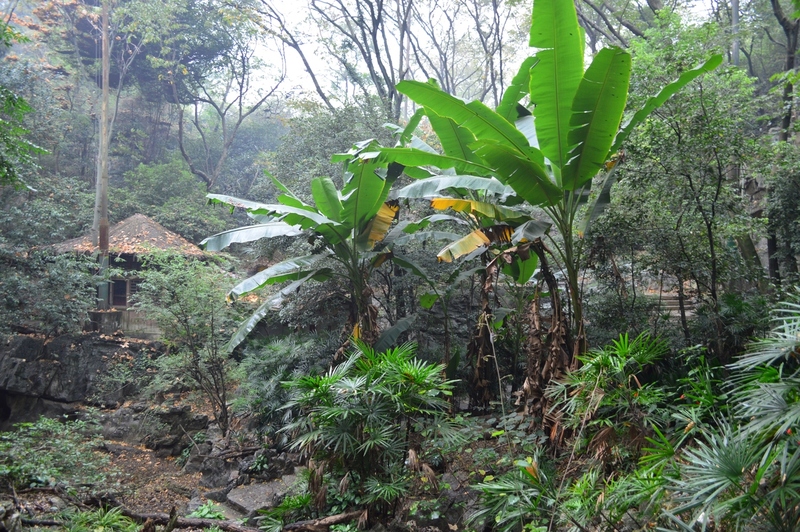 The mud caves near Yangshuo are also worth a visit. Plenty of trips organized out of the town. 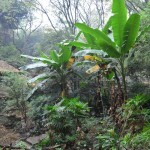 The caves also have hot springs too! Bring clothes that can get dirty and something to change into afterwards. 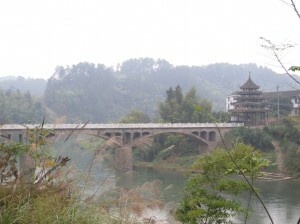 There’s lots to see in the city of Guilin itself. 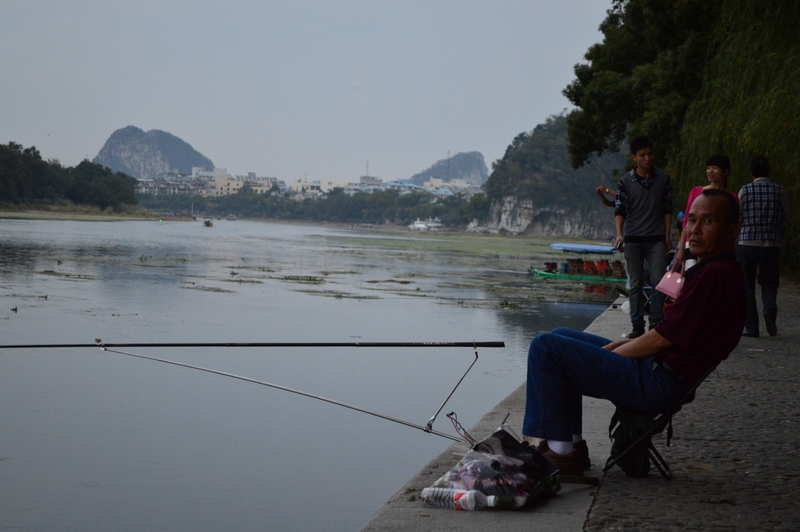 A walk along the river is nice where the locals are out fishing or (not as appealing) swimming. 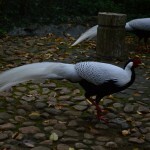 The Diecai Hill park was a nice hour visit too and more affordable than the other bigger mountains in the city. The Ludi Yan caves or Reed Flute Caves are the most famous attraction in the city and also worth a visit if you have the time. Organize a trip to the terraced rice fields in Longsheng county outside of the city. 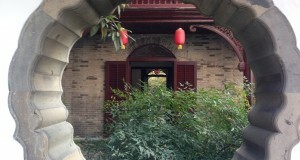 Plan to stay overnight too in one of the local minority guesthouses. The International Youth Hostel can help you organize a tour from there or you can just get a bus ticket in town and go on your own. Waking up to the sun rising over the terraced mountains is an experience you won’t forget and the surrounding villages on the mountains make for some nice hiking. 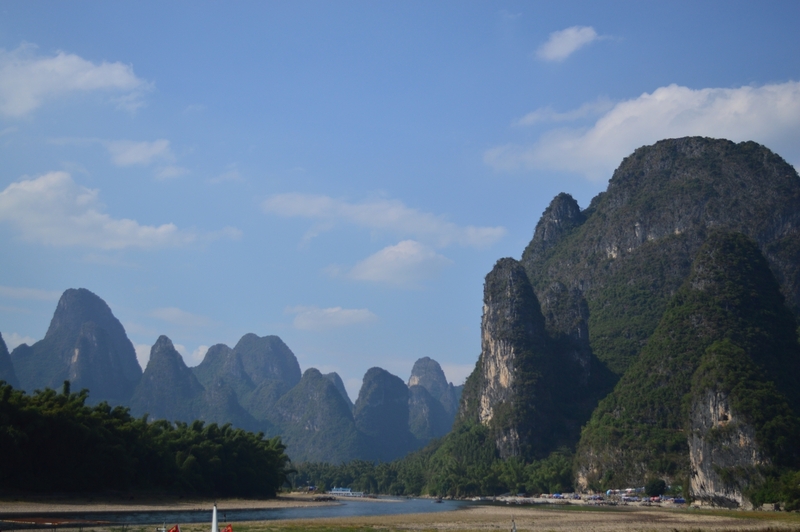 If you have the means and the time, take the X097 county road from Yangshuo to Guilin to enjoy the amazing scenery in relative seclusion. Prepare yourself for some rough roads though! 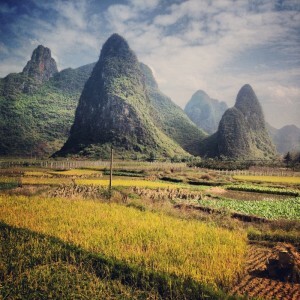 Yangshuo is one of my favorite place as well.